Lovettsville 13-year-old Serena Parrish stars in Other Voices Theatre’s production of “The Secret Garden,” which opens this weekend. The performance is a musical version of the classic tale of children’s literature. Orphaned in India, 11-year-old Mary Lennox returns to Yorkshire to live with her embittered, reclusive uncle, Archibald, and his invalid son, Colin. The estate’s many wonders include a magic garden that beckons the children with haunting melodies and spirits from Mary’s past that guide her through her new life. In the role of Mary, is Serena Parrish, an eighth-grader at Harmony Middle School. Earlier this year, she landed a lead role in “Suessical the Musical” through Purcellville-based Main Street Theater and played Annie in Harmony’s production of “Annie Jr.” She’s also performed in “Chitty Chitty Bang Bang,” “Oliver,” “Wizard of Oz,” “Jungle Book,” “Peter Pan,” “Aristicats,” “101 Dalmations” and “The Sound of Music.” She also sings and plays drums for a band through Loudoun Music Instruction. 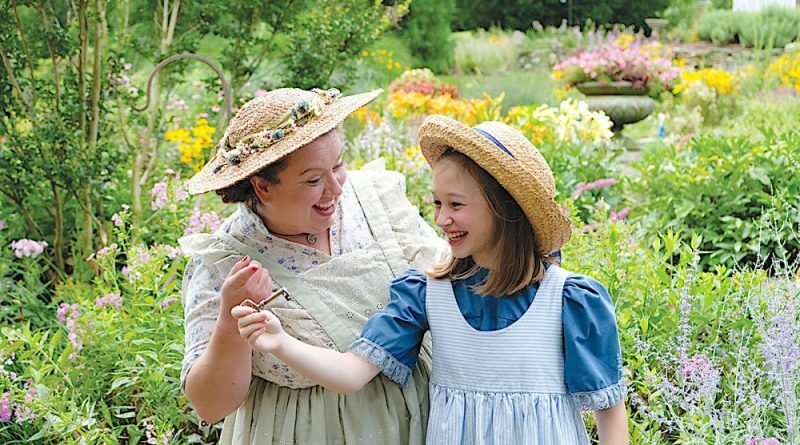 Performance for “The Secret Garden” are at 8 p.m. Friday. Aug 4, Saturday Aug. 5, Friday Aug. 11 and Saturday, Aug. 12, and at 2 p.m. Sunday, Aug. 6 and Sunday, Aug. 13. Tickets range from $18 to $22. Renaissance Chef will cater a pre-show dinner buffet is available on Saturday, Aug. 5, and a pre-show brunch buffet is available Sunday, Aug. 6. Performances are at The Performing Arts Factory, 244 South Jefferson St. in Frederick, MD. Find more information and purchase tickets at othervoicestheatre.org.